Last night, the PHS Football team held it’s annual banquet at Chattahoochee Technical College. Despite the not so pleasant weather, there was a big turnout to recognize and celebrate the accomplishments achieved during the 2016 season. The event was catered by the Pickens County Sheriff’s Department, who cooked and served meals for everyone in attendance. As everyone was settling in and getting their food, PHS head football coach Chris Parker welcomed everyone to the banquet and turned it over to the cheer leading coaches so that they could recognize the efforts and accolades these young ladies garnered during the year. Then it was on to recognizing the 9th grade football team. These young men had a fantastic season going 7-0 during the year. Next, it would be the JV football team to take their turn in the spotlight. Much like their younger teammates on the 9th grade squad, the JV team also went undefeated with a 7-0 record during the season. Very impressive seasons from both these teams and a lot to look forward to once they find themselves on the varsity. The seniors were recognized individually as a short highlight reel of their play during the season showed as they received their plaque. Coach Parker took a moment to say something about each of the seniors and what they’ve meant not only to him and the other coaches, but to the program as well. A graphic was shown displaying how much the program has grown since the departing seniors were in 8th grade. The 2016 team leaves tied with the 2015 team for most wins by a class with 27. Andrew Hasbrouck, Jordan Burton, Devin Grant, Josh Holbert, Michael Coriell, Nick Southern, Chris Pittman, Connor Head, & Jacob Gordon. 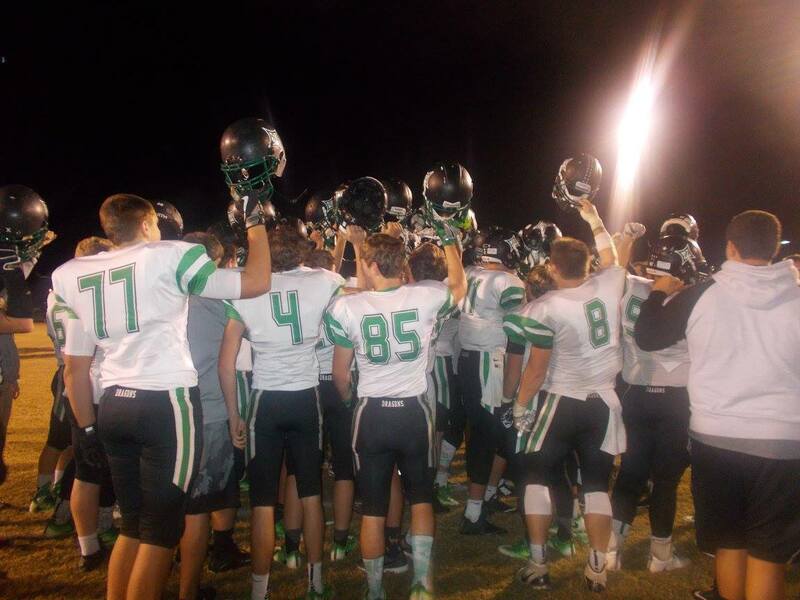 Last night, the PHS Dragons football team traveled to Jefferson Ga, to take on the Num. 4 ranked Jefferson Dragons in the 1st round of the GHSA 4A state playoffs. Pickens represented region 6 as the 4 seed & Jefferson was the 1 seed out of region 8. 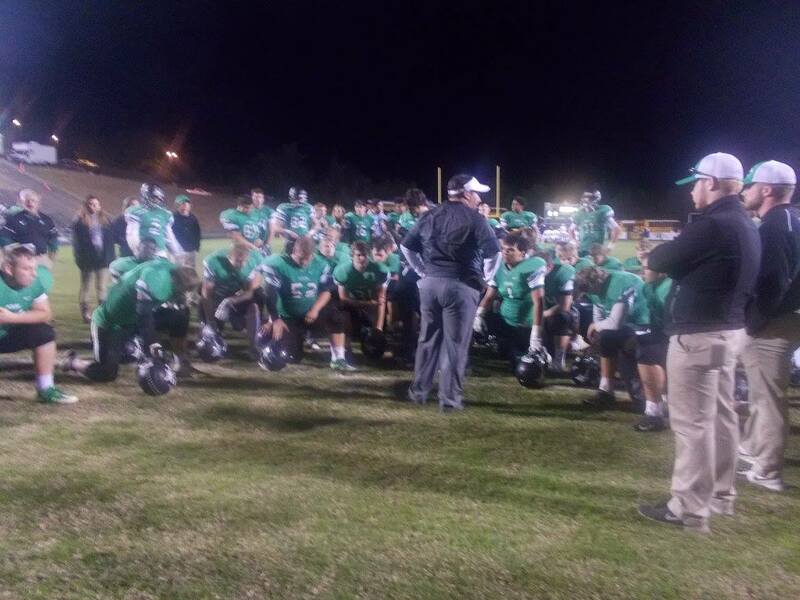 This was the 1st meeting between the two schools since 1989, with Pickens winning the last two meetings. Pickens, won the toss and elected to receive to begin the ball game. Jefferson held the Dragons and were able to get a blocked punt to take over deep in Dragon territory. Two plays later, Jefferson punched it in from a yard out, giving them the 7-0 lead with 9:42 left in the opening quarter. Jefferson was able to add to their lead at the 2:53 mark with a 38-yd field goal, making it 10-0. The Dragons of Jefferson again stretched their lead out after a 52-yd punt return, giving Jefferson a 17-0 lead after one. Jefferson continued to add to their lead early in the 2nd with a 7-yd td run at the 10:16 mark making it 24-0. On the ensuing kickoff, Trevon Hawkins took it to the house from 96 yards to put Pickens on the board at 24-7. Jefferson answered at the 7:16 mark with a 25-yd td run to make it 31-7. A 20-yd td pass from Jefferson with 38 seconds left in the half, gave them a 38-7 advantage going to the break. Jefferson started the 2nd half with the football and would end the possession with a 4-yd td run at the 9:17 mark, to make it 45-7. Jefferson added a 1-yd td run at the 3:36 mark to make it 52-7. Just before the end of the 3rd, Pickens found some offensive success. The Dragons were able to get into the end zone after a 19-yd run from Dylan Huffman to make it 52-14 with 11:50 left in the game. The Dragons again found pay dirt when Jacob Brumby found Josh Cain on a 31-yd screen play at the 5:39 mark to make it 52-21. Jefferson added a 1-yd td run at the 1:57 mark to make it a 59-21 final. Pickens had 10 1st downs, went3/12 on 3rd down, & 2/4 on 4th down. Totaled 339 yards on 54 plays, 262 passing & 77 rushing. 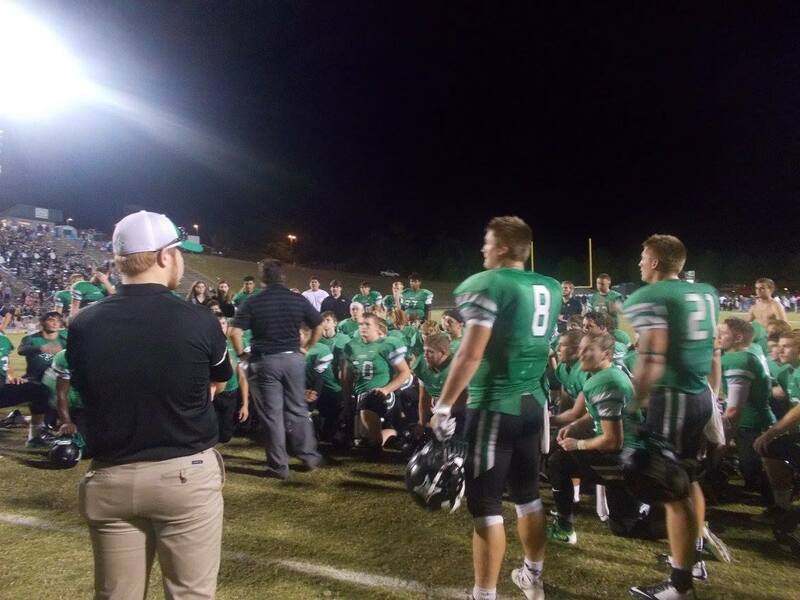 This past Friday, the PHS football team hosted the Generals of Heritage in a big 6-AAAA region matchup. A win for the Dragons would give them a share of the region title, and the #3 seed as determined by a tie-breaker. It was also a special night as they recognized all the seniors from players, managers, cheerleaders, & band members before the ball game. Heritage won the toss and elected to receive to have a crack at the 1st points. After each team traded possessions, The Generals got on the board first with a 17-yd td pass at the 4:52 mark to lead it 7-0. The Dragons found their way into the end zone at the 2:55 mark after a 3-yd run from C.J. Streicher, tying things up at 7 as we went to the 2nd quarter. Heritage took the lead back at the 10:19 mark after an 8-yd td pass, making it 14-7 Generals. Pickens answered when Streicher found pay dirt for a 2nd time, this one coming after an 8-yd run at the 6:15 mark to once again tie things up at 14. An interception by the Generals led to a 65-yd td pass at the 4:01 mark giving Heritage a lead of 21-14 as we hit halftime. In the 3rd, Heritage added to their lead with a 7-yd td run at the 5:43 mark, making it 28-14 Generals. The Dragons were able to counter with a 3-yd td run from senior Chris Pittman at the 1:44 mark to cut the Heritage lead in half, 28-21. The Generals however were able to stretch the lead out once again just before the end of the 3rd with a 13-yd td run. Giving Heritage a 35-21 advantage going to the 4th. The Generals again added to their lead with a 44-yd td pass at the 10:19 mark, making it 41-21 after a missed PAT. An interception returned for a td at the 8:18 mark gave Heritage a 48-21 lead. Dylan Huffman found the end zone for the Dragons at the 6:14 mark making it 48-28 Heritage. Pickens again scored late in the 4th after a 9-yd td pass from Jacob Brumby to Trevon Hawkins gave us a final of 48-35, Heritage. Last night, the PHS Dragons football team took to the road to take on the Ramblers of LaFayette. 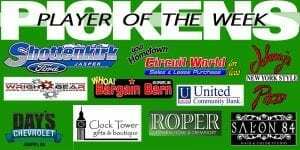 Pickens, came into the game at the top of the 6-AAAA standings and were looking to keep pace with Northwest Whitfield & Ridgeland. Pickens won the toss and elected to receive the opening kickoff. The Dragons were able to work the ball down the field with Chris Pittman capping the opening drive off getting his 10th rushing td on the season with a 4-yd run at the 9:03 left in the 1st quarter. After a stop on defense, Dylan Huffman would get his 5th rushing td of the season after a 3-yd run to make it 14-0 Pickens at the 4:43 mark of the 1st. The Dragons then recovered a fumble at the LaFayette 1-yd line after the Ramblers were pushed back deep into their own territory. C.J. Streicher powered in for the score, making it 21-0 with 4:21 left in the 1st quarter. Just before the opening frame came to a close, Jacob Brumby found Josh Cain on a receiver screen for an 8-yd td. Giving Pickens a 27-0 lead going to the 2nd. LaFayette got on the board following a 15-yd screen pass at the 9:07 mark of the 1st half, making it 27-6 Dragons. 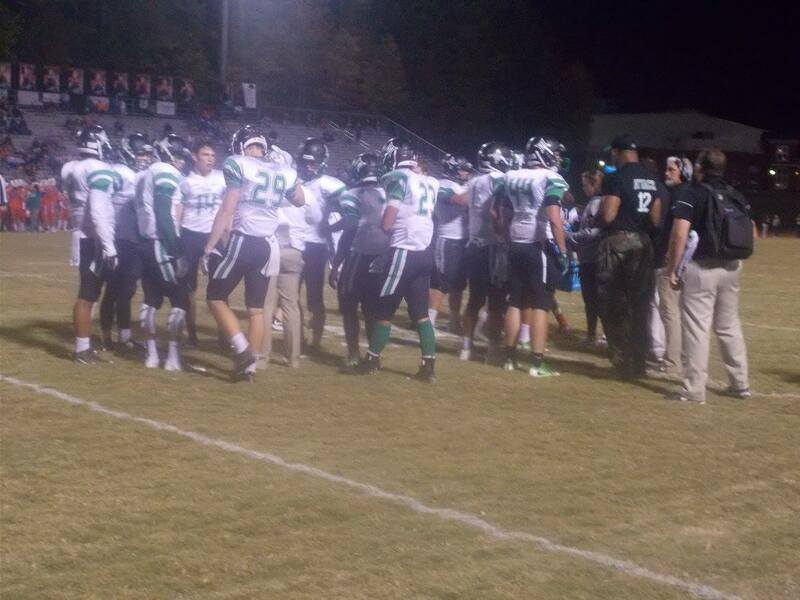 Pickens answered at the 2:46 mark with a Brumby 1-yd td run to give us a halftime score of 34-6, Dragons leading. Alex Pittman came up with an interception on defense & the Dragons turned that into points as Brumby got in for his 2nd rushing td on the night, this time from 3-yds extending the lead to 41-6 as we headed to the 4th. With the clock running in the final quarter of play, Streicher capped off the game with his 2nd rushing td of the night as he punched it in from 4-yds, giving us a final of 48-6, Pickens. Pickens finished with 21 1st downs, 4/5 on 3rd down, 451 total yards on 55 plays, 322 yards rushing, 129 passing. Defensively, the Dragons held LaFayette to 146 total yards, 112 rushing, 34 passing, giving up just 3.4 yards per play, & forced 4 turnovers. 2 fumbles, & 2 INT’s. Next week, Pickens will be back home at Dragons Stadium to host the Generals of Heritage. Heritage has also clinched a playoff spot by virtue of Southeast Whitfield’s loss to Northwest Whitfield last night. A win for the Dragons gives them a share of the 6-AAAA region title. Game time is set for 7:30. 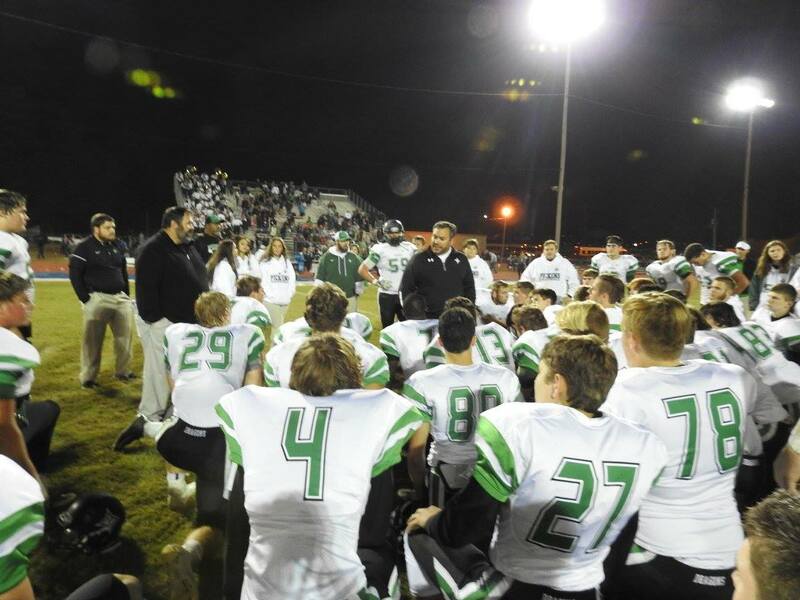 Last night, the PHS Dragons football team hosted the 4A top ten ranked, and region leading Ridgeland Panthers. Coming into the ball game, the Dragons were 3-4 and in 3rd by themselves in 6-AAAA at 2-1. The all-time series between these two teams was even at 2 a piece with the home team never winning. Prior to the game, the 2016-17 PHS Athletics Hall of Fame class was recognized. Inductees included Katie Frye, Jordan Shaw, & Don Boggus, Sr.
Ridgeland won the toss and elected to receive. After each team took turns stalling on drives, the Dragons were able to cash in on points when Dylan Huffman took it in from 3-yds out to give Pickens a 7-0 lead with 4:31 left in the opening quarter. The Panthers were able to tie things up after a 4-yd run just before the quarter ended and we went into the 2nd, tied at 7 a piece. It was all Pickens in the 2nd quarter. As the teams went back and forth trading possessions, the Dragons took the lead back when Jacob Brumby found Huffman on a wheel route from 15-yds out at the 4:01 mark making things 14-7 in favor of Pickens. A turnover by Ridgeland gave it right back to the Dragons offense and Pickens cashed in on that turnover when Brumby tossed it to C.J. Streicher, then Streicher connected with a wide open Trevon Hawkins for the 47-yd score giving the Dragons the lead at the half, 21-7. Nearly 2 minutes into the 2nd half, the Panthers cut the Pickens lead in half after a 59-yd td run at the 10:04 mark, making it 21-14. The Dragons answered fairly quickly with a big play of their own as Brumby found Zach Goss wide open for a 51-yd td at the 8:37 mark of the 3rd quarter making it 28-14. Streicher added to the Dragon lead after another Ridgeland fumble with a 4-yd td run, making it 35-14 as we would head to the 4th and final quarter of play. The 4th quarter was both exciting and heart wrenching to say the least. Knowing they had to make something happen quick, the Panthers drove down the field and scored on a 1-yd run, making it 35-21 with 10:54 left in the game. After getting the ball back, another 1-yd run by Ridgeland cut the Pickens lead down to 35-28 with 6:54 left. Ridgeland again got possession of the ball and took it 54-yds to cut it to 35-34 with the ensuing PAT to follow. To the delight of the home crowd and the dismay of the away side, the potential game tying PAT went wide right, sailing off the right upright, and Pickens clung to a 35-34 lead. The Dragons, were able to run off the final 2:57, to secure the upset, 35-34. With the win, the Dragons find themselves .500 on the season at 4-4, & more importantly, tied for 1st in 6-AAAA at 3-1. Next Friday, Pickens will travel to LaFayette to take on the Ramblers. The Ramblers to this point are 2-6 on the season and 0-4 in region play but that is no reason to look past them. Kick off scheduled for 7:30. 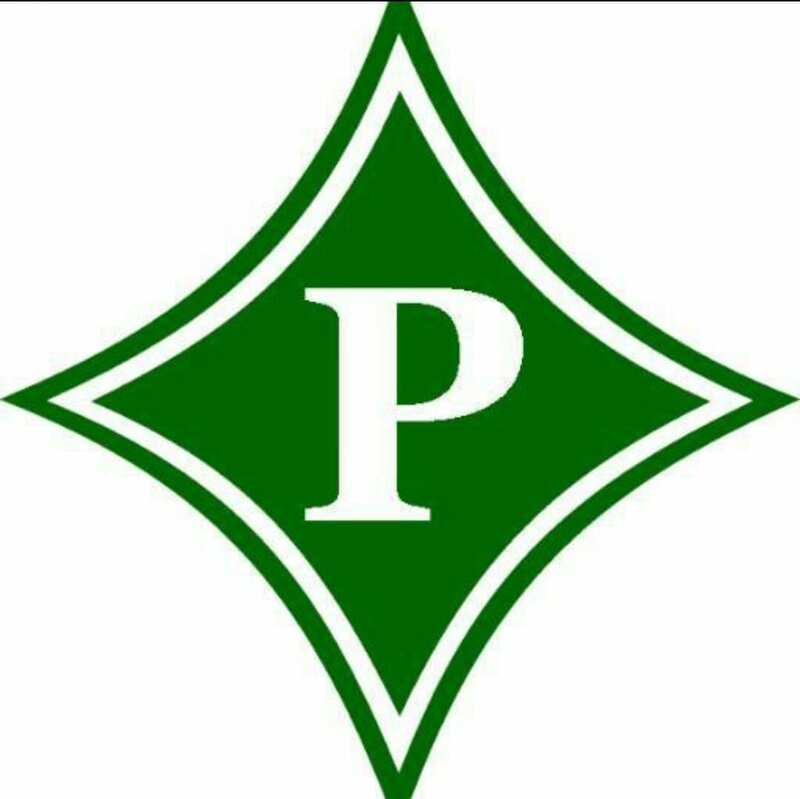 Last night, the PHS Dragons football team traveled to Tunnel Hill to take on the Bruins of Northwest Whitfield in a 6-AAAA meeting. This was the 6th meeting between the two schools with the Bruins holding a 1-4 series advantage. The Dragons won the toss and elected to receive the opening kickoff. After driving down the field, Jacob Brumby found Zach Goss for a 29-yd score. The PAT was missed, giving Pickens the 6-0 lead with 9:57 left in the opening quarter. The Bruins got into field goal range during their first drive, looking to cut the Pickens lead in half. The Dragons were able to block the attempt, and Michael Casey took it to the house to extend the lead to 13-0 with 7:23 left in the opening frame. 23 seconds later, Northwest Whitfield got on the board with a 54-yd td run. The two point conversion was good, cutting the Dragons lead to 13-8 with 7:00 left in the 1st. Two minutes later, the Bruins took the lead after an 80-yd td run, giving them a 15-13 advantage over Pickens going to the 2nd quarter. Dylan Huffman scored after a 23-yd run and the ensuing two-point conversion try was good, giving the Dragons a 21-15 lead with 10:11 left in the half. Northwest Whitfield took the lead back at the 8:28 mark of the 2nd quarter after a 3-yd run, making it 22-21. The Bruins extended their lead after a 30-yd td pass at the 7:27 mark, giving them a 29-21 lead. Northwest Whitfield again found the end zone again after a 33-yd td pass at the 5:46 mark, making it 36-21 Bruins. Pickens cut into the lead just before halftime after a 1-yd run from Huffman. The score at the break, was 36-28 Bruins. The Dragons surprised Northwest Whitfield with an onside kick to start the 2nd half as Pickens would recover, setting themselves up with great field position. The Dragons capitalized on the recovered onside when Brumby found CJ Streicher in the back of the end zone for a 25-yd score at the 8:16 mark of the 3rd. The two-point try was unsuccessful, making the score 36-34. The Bruins again stretched their lead after a 32-yd td pass, making it 43-34 as we went to the 4th. Pickens cut the Bruins lead to 43-41 after a 15-yd run from Kelton Gilbert at the 8:31 mark of the 4th. At the 3:01 mark, Northwest Whitfield extended their lead to 50-41 after a 1-yd td run. The Bruins were able to hold on and get the win over the Dragons, 50-41. Next Friday, the Dragons return home to host the 4A top ten ranked Ridgeland Panthers. 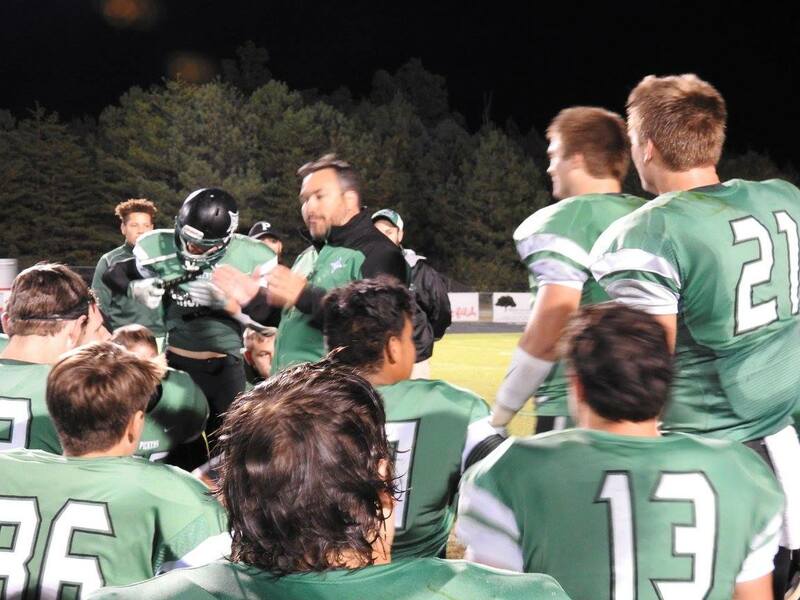 The Panthers are 6-0 & 3-0 in 6-AAAA while Pickens is 3-4 & in 3rd in 6-AAAA at 2-1. The series is tied between the two schools at 2-2, with the away team winning each game. Kickoff is at 7:30. 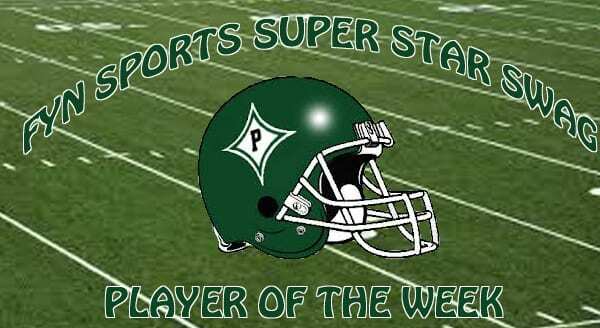 This week’s #TeamFYNSports Sports Writer Player Of The Week is Alex Pittman. Pittman helped lead a Dragons defense that only allowed 7 points to Gilmer on Friday night & shut them out in the 2nd half. Pittman finished the game with 6 total tackles, 4 solo, 2 assists, 1 TFL, 1 INT, and 1 fumble returned for a touchdown. You can catch Alex and the rest of his Dragon teammates at home this coming week as they host the Southeast Whitfield Raiders in a 6-AAAA region match up. Last night, the PHS varsity football team hosted the Raiders of Southeast Whitfield in a 6-AAAA region match up for Homecoming. This was the first game at home for the Dragons since September 2nd. Coming into the game, Pickens held a 5-1 all-time series lead over Southeast Whitfield. Pickens won the toss, but elected to differ to the 2nd half, giving Southeast Whitfield the first shot at points. After forcing a three-and-out, the Dragons offense took to the field at their own 29-yd line. They would not be on the field for very long as Jacob Brumby found Trevon Hawkins streaking across the middle for a 71-yd touchdown on the 1st play from scrimmage. The PAT hit the left upright, giving Pickens a 6-0 lead with 10:16 left in the opening quarter. With 6:26 left in the 1st, Chris Pittman found the end zone from 12-yds out, giving the Dragons a 13-0 lead going to the 2nd. Both teams went back and forth in the 2nd quarter, trading possessions. The Raiders would attempt a field goal towards the end of the 1st half, but the Dragons were able to get a claw on it, sending us to halftime with Pickens ahead of Southeast Whitfield, 13-0. During halftime the 2016 PHS Homecoming Princess & Queen were crowned. Miss Olivia Moore was crowned princess, while Miss Autumn Young was crowned queen. The Dragons started off the 2nd half with possession. However, the possession would not last too long as the Raiders recovered a fumble deep inside Dragon territory and would turn it into points after a 6-yd run at the 10:50 mark to cut the Pickens lead to 13-7. The Dragons stretched their lead to 9 at the 6:27 mark after a 25-yd field goal from Rudy Perez, making it 16-7. Just before the end of the 3rd, Southeast Whitfield punched it in from a yard out, making it 16-14 Dragons going to the 4th. Pickens added to their lead early in the 4th with a 2-yd run from C.Pittman, making it 22-14 with 9:04 left in the game. The Dragons held the Raiders on their 1st possession of the 4th quarter then would go to work using the run game. Pickens chewed nearly 7 minutes off the clock in the 4th quarter giving Southeast Whitfield only 9 seconds to work with deep in their own territory. The Raiders’ final play was stopped well short of the goal line by the Dragons defense and Pickens came away with the win, 22-14.